Offshore robotics company FORSSEA ROBOTICS chose GMS as main technical partner to certify its real-time visual positioning technologies. A joint laboratory will be created to develop a common offer covering camera calibration, subsea image treatment and innovative photogrammetry solutions. FORSSEA ROBOTICS decided last year to adapt its Atoll ROV embedded visual docking technology into a stand-alone product. The company was already manufacturing and commercializing underwater cameras, mainly for R&D underwater vision applications. The so-called V-LOC (Visual LOCalization) technology has been designed for quick and operational use. One operator sticks the marker on the structure and the camera computes the six-degree coordinates in real-time on the user screen. FORSSEA and GMS recently organized underwater trials with conclusive results. These results will be communicated to client as offshore pilots shall be organized early 2019. 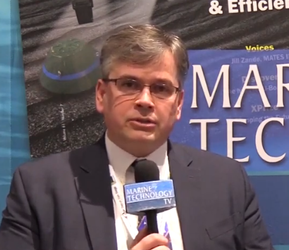 “GMS track-record is very relevant when it comes to subsea. So much need to be implemented while too few photogrammetry experts are invited to the discussion table. Working with FORSSEA was quite natural, as their know-how and technology are very complementary to our expertise. And they are in the spotlight at the moment!” said Frédéric Jallon, Technical Director at GMS. 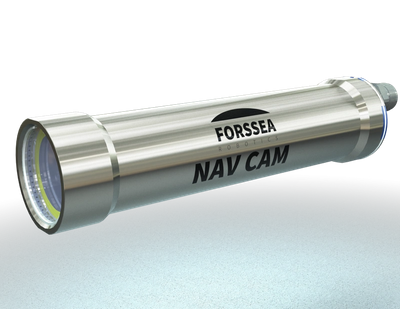 In addition, FORSSEA will soon release the NAV CAM (Navigation Camera), an innovative all-in-one ROV/AUV visual based navigation control center, with high grade calibrated optics, embedded image treatment capacity, pressure sensor and IMU. 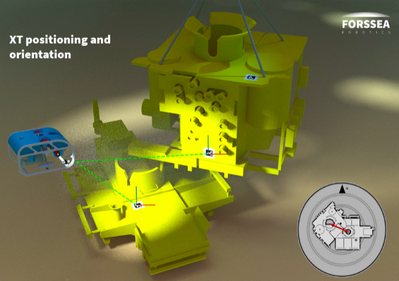 The NAV CAM has been designed to as a ROV plug-and-play system. It will be compatible with Gyros for survey applications such as subsea asset’s altitude and heading monitoring.